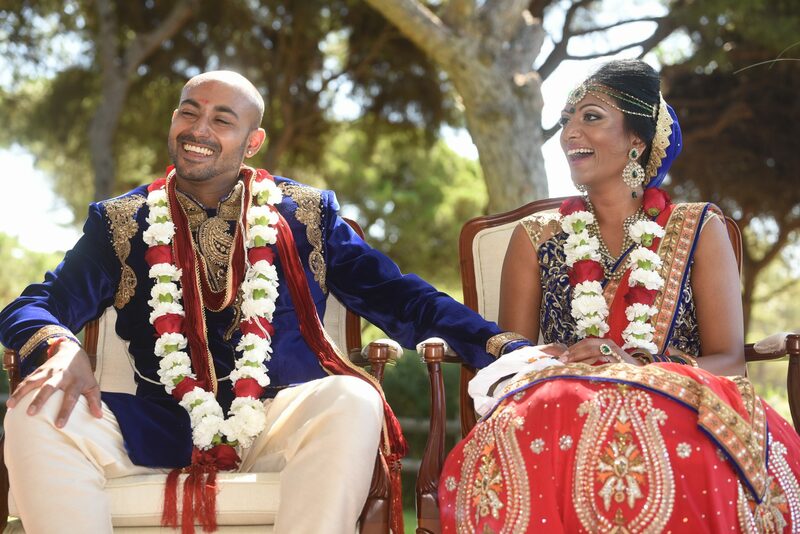 Monica & Ron had their Indian wedding in Portugal at Pine Cliffs Resort, an incredible resort in the Algarve, Portugal. 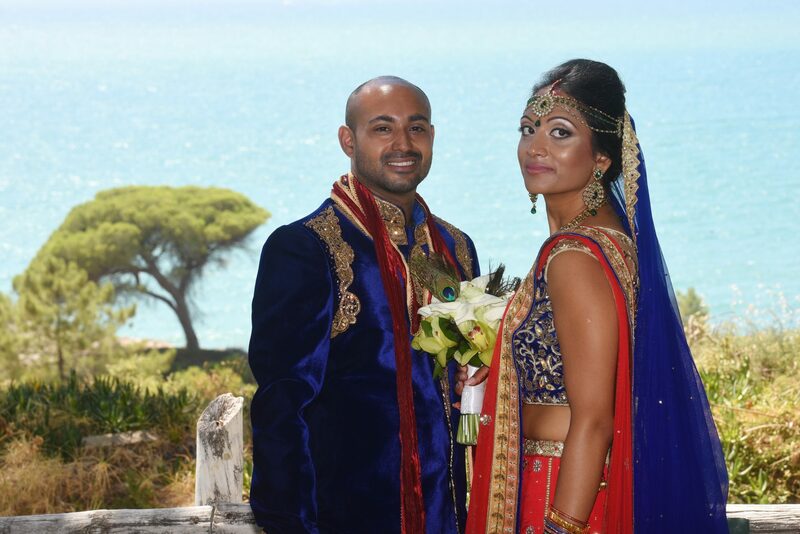 The wedding took place in a weekend and started with a combination of a mendhi and sangeet party. The setting at Pine Tree Garden was stunning with the beautiful colors of the cliffs and a beautiful sunset behind. Dona Gina from Ouraflores decorated all the tables with beautiful flowers and with all the stationary and accessories that the bride provided. 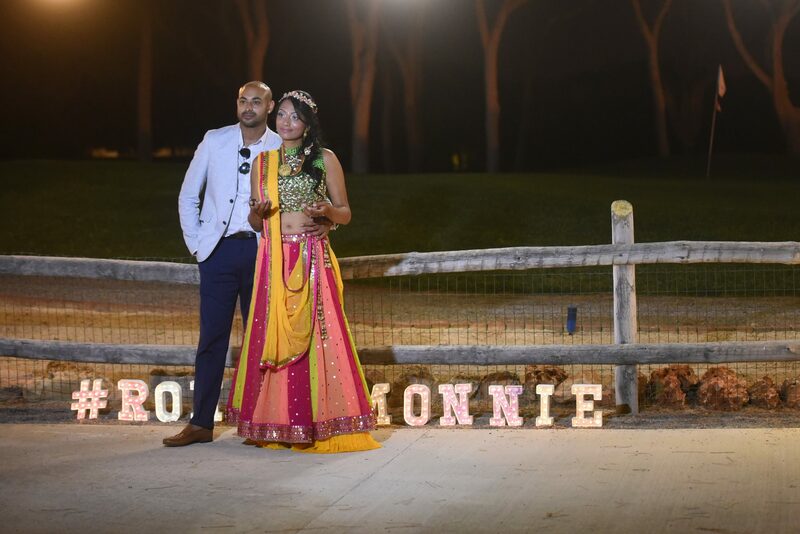 Monica has a beautiful stationary company called: Moheeni Paul Designs (Please have a look online). Beautifully sketched mendhi was applied to the beautiful ladies by Carla Silvestre. The dancing continued until 10pm with Dj.Manu. 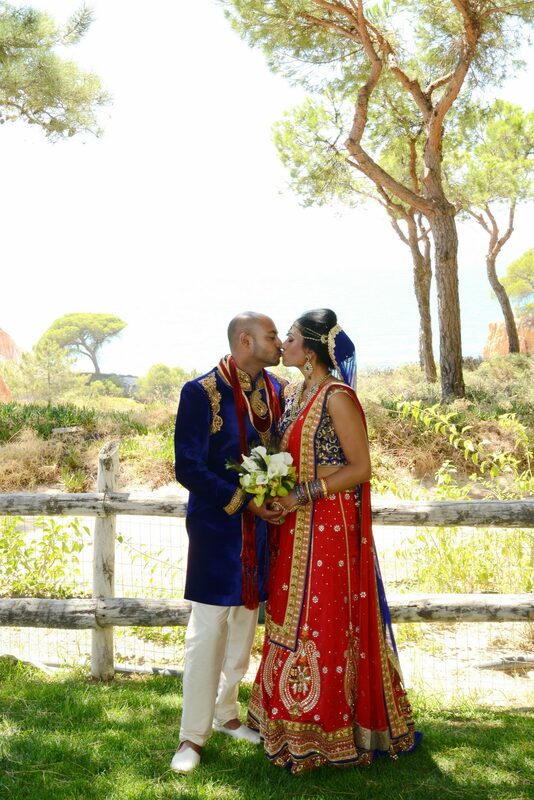 The Hindu wedding took place on the second day at Pine Cliffs beautiful Tabu Garden. It was a beautiful ceremony with the closest family members and friends. 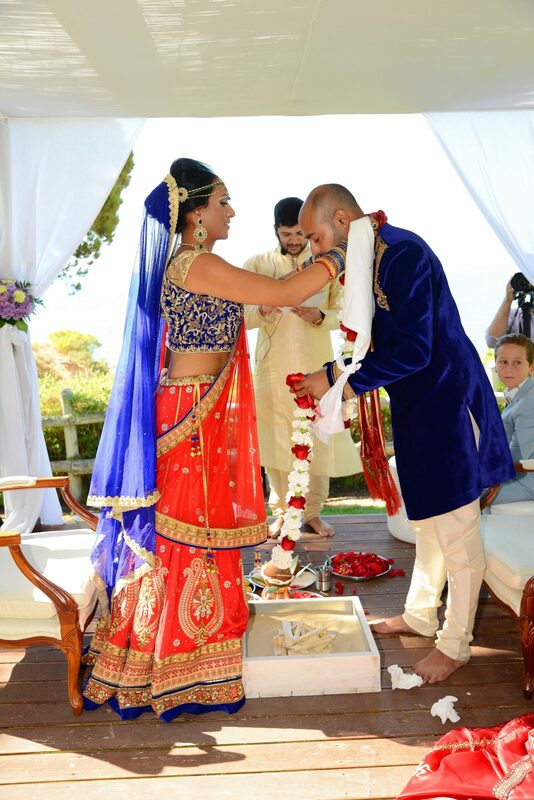 The Baraat marked the beginning of the ceremony. Ron, together with his friends and family was welcomed to the garden by the bride´s family. The bright combination of flowers by Oura Flores framed the gazebo and provided additional splendour to an already stunning setting. After the ceremony an amazing Indian Vegetarian lunch was served to all the guests. 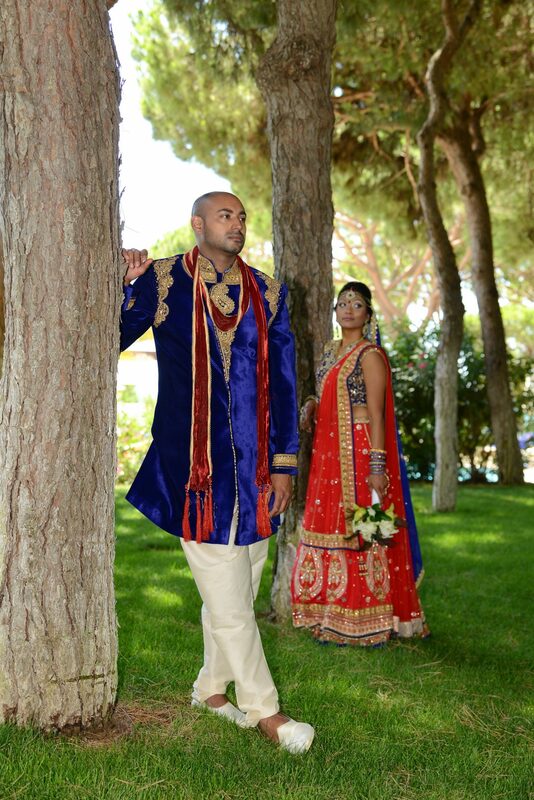 The Civil wedding took place as well at Tabu Garden’s. It was a very short ceremony hold by the Portuguese law. 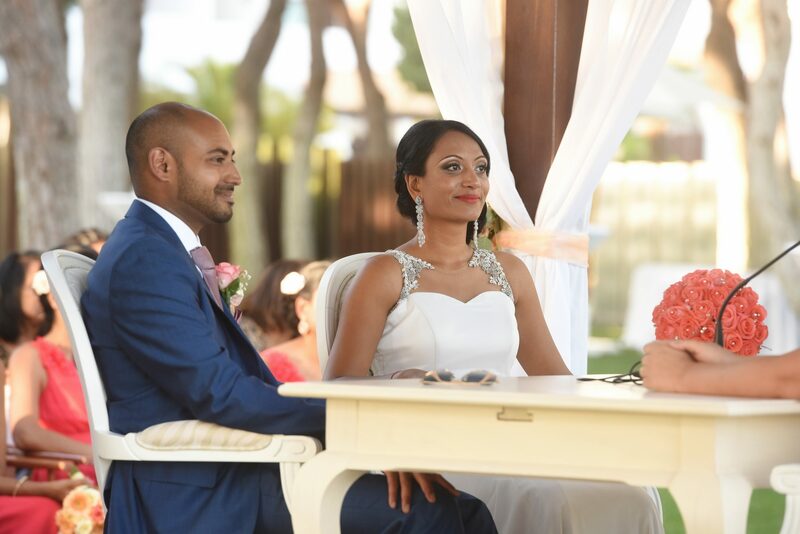 Did you know that residency before a civil ceremony is not required, so you can spend as much or as little time in Portugal before your big day? Monica looked beautiful in her white dress. After the ceremony cocktails were enjoyed on the top of the cliff followed by an amazing dinner outside with a beautiful table setting. 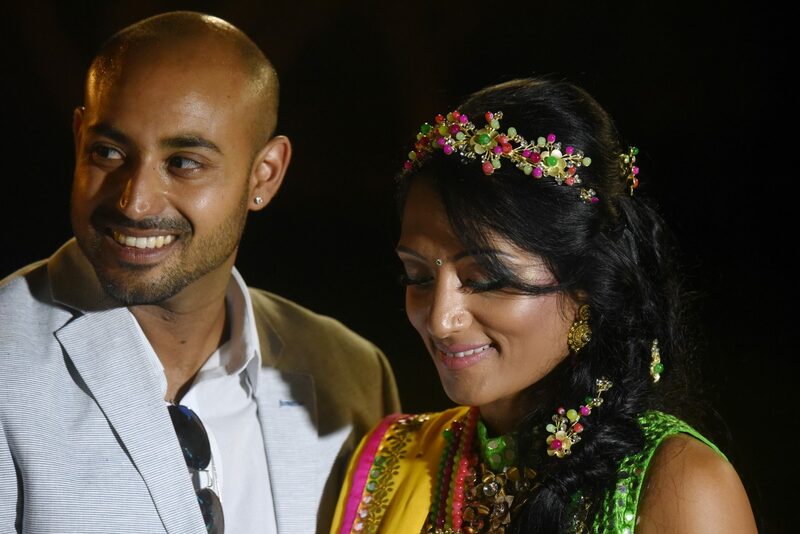 A truly vivid and emotional video of the weekend was projected for the party to see. 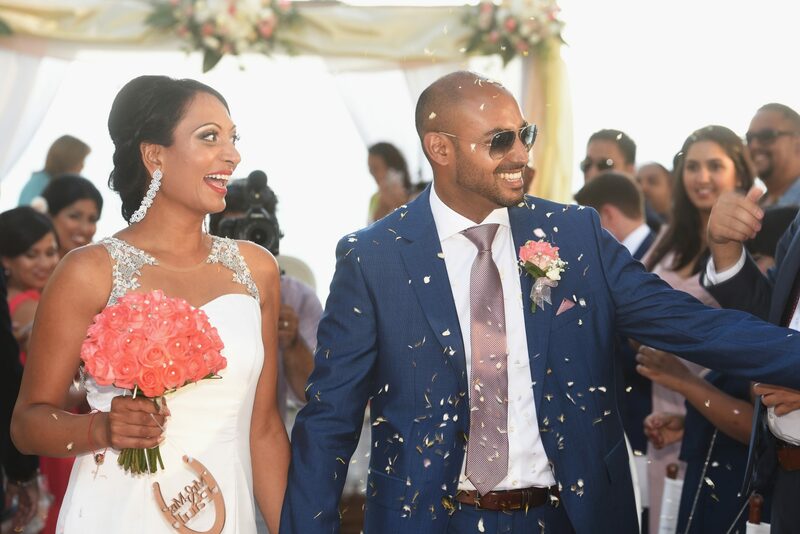 The video filmed and edited by VIP Weddings drew many tears and captured the highlights and passions of the weekend. 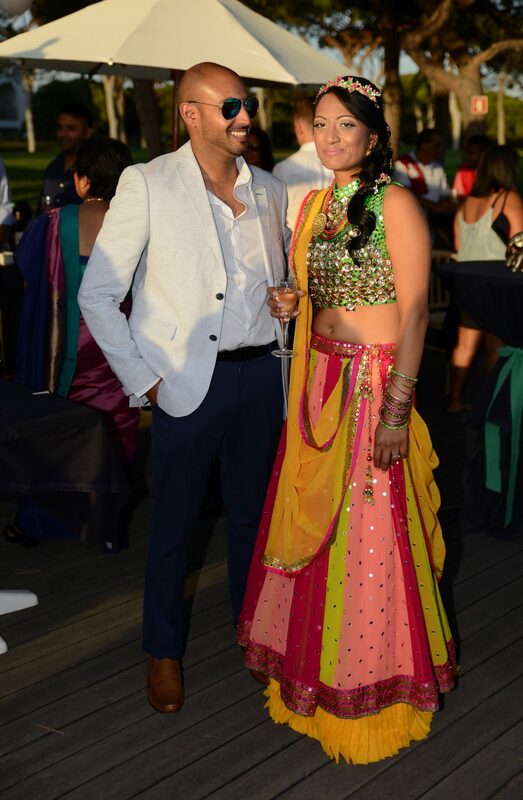 The party moved to Aldar where the couple performed their first dance and stayed until early morning. 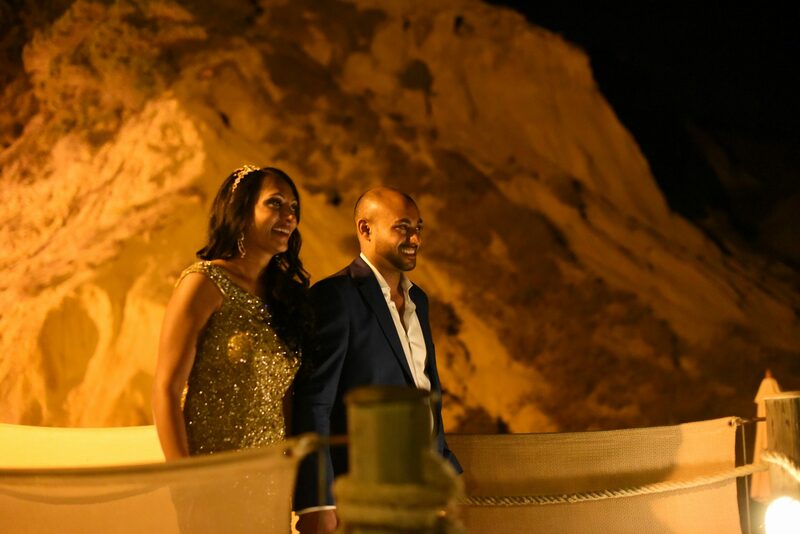 Beautiful video from Vip Weddings Films and stunning photos captured by João Ataíde.